Cognitive computing, AI, machine learning, and deep learning are often used to describe the same thing, when they actually differ. We explain what the differences are so you can better understand how the pieces fit together. Computers are getting to be more intelligent, although machine intelligence involves more than a single concept. It's common to hear "AI," "cognitive computing," "machine learning" and "deep learning" used in everyday conversation, although the terms are often misused. Whether you're a practitioner, IT leader, or business leader, you should understand the differences. Following are some basic explanations that explain the value of each. Even if you feel you understand these terms, use this article to help your bosses understand what they want when they are clamoring for "some of that AI." Cognitive computing is the sensory branch of machine intelligence. Using sensors and algorithms, computers can "see," "hear" and "feel," although there are also efforts underway that address "smell" and "taste." 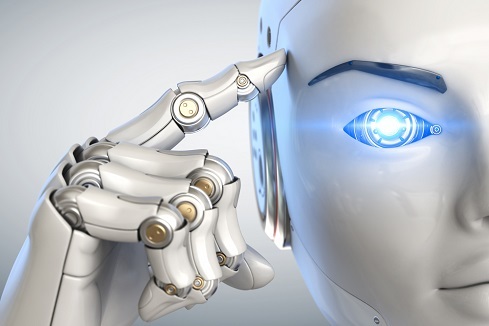 "Cognitive computing brings human capabilities to computers so they can think, behave and act like humans," said Janakiram MSV, a technology analyst, advisor, and architect. "Cognitive computing is the way laymen experience artificial intelligence." Image sensors give computers sight, and microphones enable them to hear. Text-to-speech and speech-to-text technologies enable them to communicate with humans using natural (human) language. Alexa, Siri, Cortana and Google Assistant are examples of the latter. "Adding cameras and mics to computers isn't a new concept, but now we are literally adding a brain to the computer which has been missing all along," said Janakiram. "Cognitive computing is about adding artificial sensory capabilities to computers and adding a brain to computers. This ability makes computers think, behave, and act like humans." AI brings decision-making capabilities to computers, which we experience every day in the form of recommendation engines. Although AI is not a new technology, cloud compute and storage economics have enabled its explosive growth and mainstream use. "Think of AI as the brain behind cognitive computing. While cognitive computing is the sensory capabilities, AI can exist without those capabilities," said Janakiram. "There are no sensory limits to it. It's just intelligent recommendation." A popular emerging AI use case is the self-driving car. Essentially, AI is the "brain" behind intelligent software applications. Machine learning requires massive amounts of data from which patterns can be recognized and predictions can be made. The classic machine learning training example is teaching a computer to differentiate between cats and dogs, or different breeds of cats and dogs. Such capabilities are now being used to identify objects and individuals in crime investigations, for example. Meanwhile, businesses are using the predictive aspects to improve customer service, security and business efficiencies. "If you feed, say, 10,000 data points of height and weight information and let the computer derive a pattern from that, later you can feed in just the height and the computer will be able to accurately predict what the weight is," said Janakiram. "Machine learning is learning from past data, historical trends, identifying patterns, and then predicting what's next. That's an oversimplified definition, but it is the best way to think about it." Deep learning uses neural networks that mimic the physiology and function of the human brain. Neural networks include several layers of neurons, leading to the use of the term "deep learning". "Deep learning takes the concept of machine learning, where you let computers learn from historical data, and then applies the way a human brain thinks," said Janakiram. "[Deep learning uses] neural science and neurological techniques." Deep learning is the most advanced form of machine learning, and it is becoming the preferred way to train computers. Ready to get some hands-on experience with deep learning? Join Janakiram MSV at Interop ITX on Wednesday, May 2 at Interop for a hands-on session, entitled, "Demystifying Deep Learning: Building Your First Neural Network." He will also join CloudPulse Strategies Founder Sam Charrington and Jennifer Prendki, head of Data Science at Atlassian as an AI Summit speaker on Tuesday, May 1. Then on Wednesday, May 2, he'll present a conference session entitled, "Bringing Intelligence to Edge Computing though Machine Learning".